No Box,Sleeve or Manual Included. If you find the correct combination of teaching, care and fun activities, you'll help your pupils enjoy school and reach their full potential. Bomberman (Nintendo DS, 2005) - European Version BOXED with manual. Condition is Very Good. I have checked the game works and deleted all save data. See my other games! Save on postage if you buy multiple. Dispatched with eBay delivery – Shutl 2-3 days. Boog is the reluctant hero of Open Season. This friendly, 900lb grizzly bear wants nothing more than to go on living with his friend, Ranger Beth, who rescued him when he was but a cub. He's really comfortable with living around humans and is the main attraction in the local nature show. 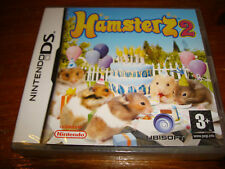 Hamsterz 2 (Nintendo DS, 2007) - European Version. Condition is Very Good. Dispatched with Royal Mail 1st Class Large Letter. James Cameron's Avatar: The Game (DS) VideoGames complete freepost. Condition is Very Good. Dispatched with Royal Mail 1st Class Large Letter. Asphalt Urban GT combines the virtues of both simulation and arcade racing for the Nintendo DS. Winning races, collecting prize money, and then purchasing new cars and/or tweaking current ones is key to success. Star Wars: Lethal Alliance (Nintendo DS, 2006) - European Version. Condition is Very Good. Dispatched with Royal Mail 1st Class Large Letter. James Cameron's Avatar: The Game (Nintendo DS, 2009) - European Version. Condition is Good. Dispatched with Royal Mail 1st Class Large Letter. Star Wars: Lethal Alliance takes players deep into the heart of the Star Wars universe. Your adventures will take you across the length and breadth of the Galactic landscape. Rianna herself is a formidable heroine. In order to finance your studies, you will have to look after the babies in the neighbourhood, perform educational activities with them, and take them to the park to play, while training for your diplomas and preparing for your job at the local nursery. Asphalt: Urban GT (Nintendo DS, 2005). Condition is Like New. Dispatched with Royal Mail 2nd Class Large Letter. ***Bomberman 2 II for Nintendo DS*** CART ONLY!!! 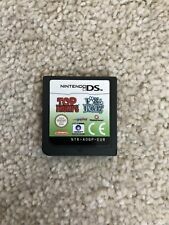 4.5 out of 5 stars - ***Bomberman 2 II for Nintendo DS*** CART ONLY!!! 8 product ratings8 product ratings - ***Bomberman 2 II for Nintendo DS*** CART ONLY!!! Bomberman (Nintendo DS, 2005) - European Version. Condition is Like New. Dispatched with Royal Mail 1st Class Large Letter. Dispatch and Handling. Need to get in touch?. Region: Region Free. My French Coach Level 1: Learn To Speak French (Nintendo DS, 2007) - European.... Condition is Very Good. Game only NO box Dispatched with Royal Mail 1st Class Large Letter. Played once. Item like new. Platform: Nintendo DS Handheld Console. Develop their artistic skills: music, drawing, pottery…. Teach them writing, science (math & biology), culture (geography & history). Genuine EUR / PAL Version. Good clean condition. Drive a recon car or a Sherman Tank. Use a wide range of weapons such as bazookas, sniper rifles, grenades and more to destroy your enemy. 16 Missions and Three Different Campaigns Many more Nintendo DS bargains for sale. People usually only use 10% of their brain. Platform: Nintendo DS Handheld Console. Play up to 4 players and challenge your friends! Hamsterz 2 (Nintendo DS, 2007) - European Version. Condition is Like New. Dispatched with Royal Mail 1st Class Large Letter. TOP TRUMPS HORROR & PREDATORS (3+) - NINTENDO DS - NEW/SEALED - FREE P&P!! Play against the computer or against your friends, test your knowledge playing the quizzes and collect special cards and trophies. NEW AND SEALED. 5 out of 5 stars - TOP TRUMPS HORROR & PREDATORS (3+) - NINTENDO DS - NEW/SEALED - FREE P&P!! 1 product rating1 product ratings - TOP TRUMPS HORROR & PREDATORS (3+) - NINTENDO DS - NEW/SEALED - FREE P&P!! Extinguish a fire burning a building. Many more Nintendo DS bargains for sale. Customise your vehicle and get the best from it: a better engine will increase your performance. Compatible with DS, DS Lite, DSi, DSi XL, 2DS, 2DS XL. and also 3DS and 3DS XL (. Tested & Fully working. Excellent condition. Complete with manual and case. Very minor superficial wear from use/handling as can be expected. ). Nintendo DS. PAL Version. FAST DISPATCH . Platform: Nintendo DS Handheld Console. Tilt the Nintendo 3DS system to look behind buildings and obstructions for a more tactical view. Play against each other on one 3DS! Platform: Nintendo DS Handheld Console. Platform: Nintendo DS Handheld Console. Play & pet using the touch screen. Speak to your kitten. Collect and trade cards.